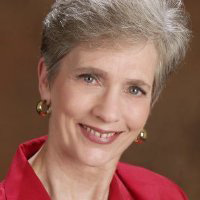 Julie is the principal of Lifetime Chronicles and is the Northern California coordinator of the Association of Personal Historians, an international organization. Julie states, "The most fulfilling work I have ever done has been as a personal historian, a ghostwriter, one who helps others tell their stories, their memoirs, in their own words." She relates about her first two books. Her first one, "Eric Weston: Life, Art, and Passions" (Oakland: Seventeenth Street Studios, 2011), is about an eccentric artist, Eric R. Weston, who died prematurely at the age of 57 in 2010. To recreate Weston's life story and his fertile imagination, Julie interviewed twenty-seven family members, friends, and artistic contemporaries, who contributed valuable insights into the creative vision of this remarkable man. Julie's second book, "Once from Salinas, Always from Salinas: Growing Up in Rural California in the 1940s" (Salinas, California: Monterey County Historical Society, 2014), was a collaborative effort in which she served as the developmental editor for author Ken Machado's memoir of unique events that took place while he was growing up in Salinas with his closest high school friends, Ed, Bob, and Roy, also known as The Gang.